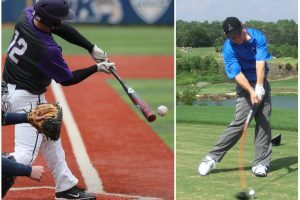 These blog pieces are intended to stimulate thinking and conversation among golfers that are interested in advancing their understanding of the swing and improving their technique. One of best ways to cut strokes from your game is to improve your putting stroke by learning to putt on the arc. It’s not my intent to get mired into talking about technical mechanics in each of these blogs, but to address some area of the intended topic – even though the discussion of one point invariably triggers thoughts about another, etc., etc. Is that enough? There are many more items that could be added to this list, but hopefully you’re beginning to get the picture. Is there a solution to any of this that can allow us to find the root issues when something is going wrong? Absolutely there is – and learning to practice properly is the key. Here is my suggestion. Find the biggest green that you can – preferably more than 150 feet across – and practice three-mode drills putting the full length of the green. Before trying this with your putter, do it with your driver. The driver, because of its length and lightness, will magnify flaws in your power application. Putt a right-hander, then a left-hander, then a two-hander from the greatest possible distance – then start over. Do not hit the same mode twice in a row, regardless of how you hit the putt. The ball should roll smoothly with no bounce whatsoever. You will actually be trying to make these putts. Putting from this distance magnifies your sensitivity to the point that it becomes possible to identify perfect power application. Attempting to learn perfect putting technique from any distance inside 10 feet is a nightmare in subtlety. There are countless ways to power the ball from a very short distance, and the identification of ideal technique when you are that near the hole, becomes next-to-impossible. 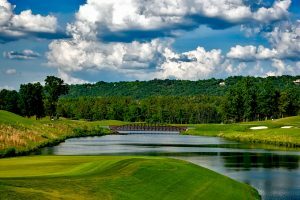 To knock the ball into the hole, or consistently close to it from 150 feet away requires perfect power application – and believe it or not, the brain can identify and learn to feel exactly what that recipe involves – even if you are unaware that it’s doing so. Once you can make the balls roll smoothly from each mode (right-handed, left-handed, and two-handed) and get them all in a small circle around the hole from a great distance, you can begin shortening the putts. Cut the distance by 20%, get deadly at the new distance, then cut it by 20% more, get deadly again, etc. The last putts you want to work on are the three-footers. The beautiful stroke that will develop from practicing the longer putts will automatically transfer to the shorter, more subtle ones, and the quality of the mechanics will be technically perfect. Even though training in this manner will cause you to acquire the best possible technique, in all likelihood, you’ll be totally unaware of how your brain accomplished it. Practicing the three-mode-drills from a great distance prevents your brain from making subconscious compensations to inferior technique without your knowledge. These compensations are the villains that keep us from advancing, not only in putting, but in every facet of the game. Become a super putter by trying this for yourself, and discover that even you can learn to roll your golf ball as well as Ben Crenshaw or the great Bobby Locke. I have just started using your dad’s technique similar, but with edge of wedge. I will give this some practice. Then get back to you. But the way me long game has never been better thanks to you and your father…?